First Tiny House Community in Oz! 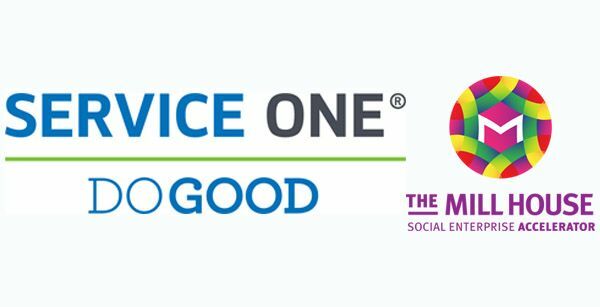 Join SERVICE ONE Members and Do Good by helping to make the ambitions of Mill House Accelerator program social enterprise graduates a reality. LIVE SIMPLY is planning to develop tiny and small house communities and we need to know how much support there is for this concept, as an affordable housing option and a way of living with minimal impact. In other words, living sustainably, both environmentally and economically. So we’re raising funds for a pilot project, to build a 6m long fossil fuel free tiny house that people can stay in for days or weeks at a time, to experience this way of life, while showing potential investors that there’s enough support for this housing model. This will enable us to raise the capital to buy the first property, and get this project started! We have investors interested... they want to know if you are. We’re also addressing the unsustainable way housing is typically developed in Australia. Big houses require large amounts of resources in their construction, and are costly to heat, cool and maintain. Small houses use few resources, both to build and to run. Ongoing costs are minimal, especially when community sized renewable energy systems are utilised. See our website for more information about our sustainable approach www.livesimply.com.au. LIVE SIMPLY is a social enterprise startup with a plan to create permanent, sustainable, affordable places for tiny and small homes, in areas where people want to live. As well as creating communities, we’re advocating for changes to planning law to allow tiny homes in backyards without onerous cost and regulation. Jules Esdaile, founder of LIVE SIMPLY, is a builder and business manager whose own tiny home got a lot of media attention last year. As a result, she was approached by many people, especially older women, wanting her to build them a tiny house because they couldn't afford a regular house, and because the idea of living minimally was really appealing. It was the realisation that there are very few places to live legally in tiny houses that inspired the foundation of LIVE SIMPLY. Jules has been an advocate for affordable housing for a number of years, worked for a number of years for Havelock Housing Association in Canberra; is a member of Shelter ACT and ACTCOSS, and was a part of Canberra City Farm's first demonstration farm in the ACT (with an off-grid aquaponics system). Jules needed a proven development model that would be affordable and also provide security of tenure for residents. She found this in the unique caravan park model created by RESIDENTIAL CLUSTER PTY LTD, and has purchased the rights to use this existing, working business model for tiny houses. Supporting Jules are Melinda Parker, Director of GYANANKUR School, India, Penny Leemhuis, founder of OWLS (Older Women Lost in Housing) and Kate York, long time friend and fellow tiny house lover. HOW IS LIVE SIMPLY ADDRESSING THESE PROBLEMS? Our plan is to create tiny house communities across Australia, under this unique caravan park model. In these communities, residents can own their land, not just their house. The park can’t be sold to developers. Residents have security of tenure, but can sell their land and/or house if they want to move. This model already exists as a caravan park in NSW, and can easily be adapted to a tiny/small house community. For the very first park, we’re looking at Bega Shire, because they’re a forward thinking, sustainably focused shire that wants to be home to Australia’s first tiny house community. But we’re also using a survey to find out what areas people want/need to live in. For more information about the business model, the costs involved and our sustainable approach, and to complete the survey, visit livesimply.com.au. But not til you’ve finished reading this! SO WHY ARE WE CROWDFUNDING? WHAT ARE WE PLANNING TO DO WITH THE FUNDS RAISED HERE? We’re going to build a lovely, unique, comfortable 6m long tiny house, that doesn’t need fossil fuel for heating or cooking or cooling… or anything. That tiny house (see the picture below for the plan we’ve purchased) will be available for short stays on a property just outside Canberra throughout 2019, for interested people to try out sustainable tiny house living for themselves. 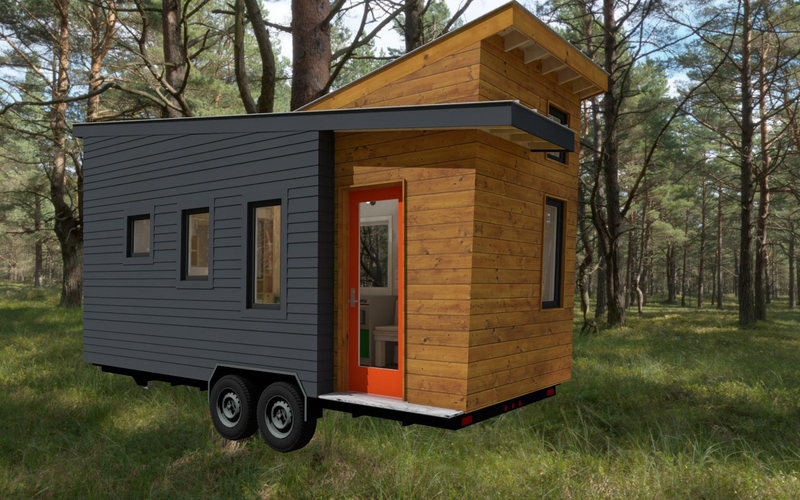 This tiny house will then become the manager’s residence of the first tiny house park. We’re only fundraising part of the money need to construct this house – the rest will be borrowed from Service One to show that it’s possible to borrow for a tiny house as well (something a few people have encountered issues with). We need your help to raise awareness, to validate the concept through your support, both financially (choose a support level!) and by sharing this campaign with your networks. Investors want to know that there’s interest in this way of living before they commit funds to the big project. The feedback we’ve had to date says YES, this is an idea whose time has come! If you're interested (you must be... look how much you've read! 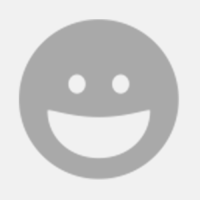 ), visit www.livesimply.com.au (after you've selected your support level, of course). By becoming a supporter, you'll be automatically updated with progress on the main project, as well as the initial try-before-you-buy project. REMEMBER, this is an all-or-nothing campaign – your donation is only applied when we reach our target. Funds raised will be half the cost of building a 6m long fossil fuel free tiny house, suitable for long term living by a single or couple, to be placed on a property outside Canberra and advertised on Airbnb, to enable anyone to experience sustainable tiny house living for a few days or weeks. Additional funds will be used to pay for the Development Application needed to upgrade the existing caravan park near Merimbula to enable sustainable operation and to allow for permanent residents. Wooden thank you card plus 200gm pack of green manure seeds (except if you're in Tasmania or WA... we can't send seeds there). A wooden thank you card, plus the perfect plastic wrap alternative. We'll send you a medium sized bees wax wrap... and you'll love it so much you'll want to buy a whole lot more! Wooden thank you card AND a bees wax wrap, plus an invite to a special launch party/luncheon at Canberra City Farm in November/December, including a tour of the fossil-fuel-free tiny house. $1000 Wooden thank you card plus 2 night's accommodation with breakfast in the completed fossil-fuel free tiny house, plus Name/Business Name listed on the Live Simply website as an investment partner, with 100 word blurb. You too get to carve your name on the sponsors plank.